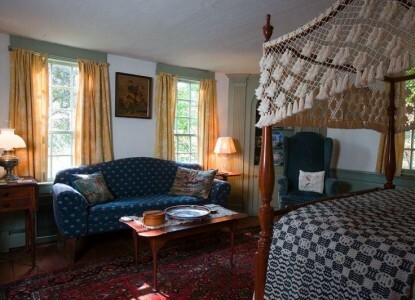 The Canopy Room is located on the first floor with original wood burning fireplace, canopy bed,18th century paneling, fine antiques, private bath not attached. 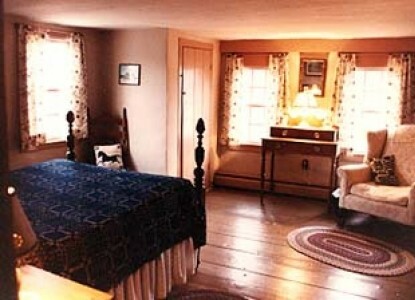 The East Room, located on the second floor, overlooks the fields and gardens, 18th century paneling, antique bed and single bed, large private bath with tub/shower and double sinks. 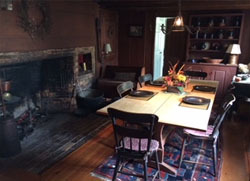 The Weaving Room is located on the second floor. 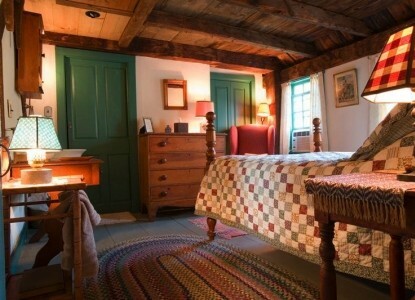 It is furnished in antiques with original wooden ceiling, and private bath. 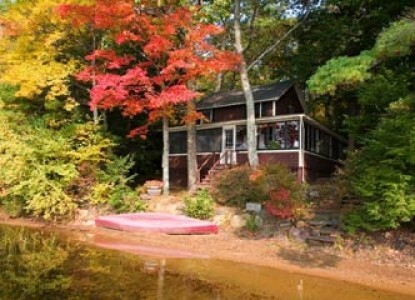 The Cottage on the lake is available for rent by the week, sleeps 6. Possible minimum 3 night stays in September and October only. Instruction will be given to guests who bring their own horse.Specialized dressage instruction from farm owner, Janet Briggs,a USEF recognized judge in Dressage and Eventing. Call for rates.